Finally I managed to see it. 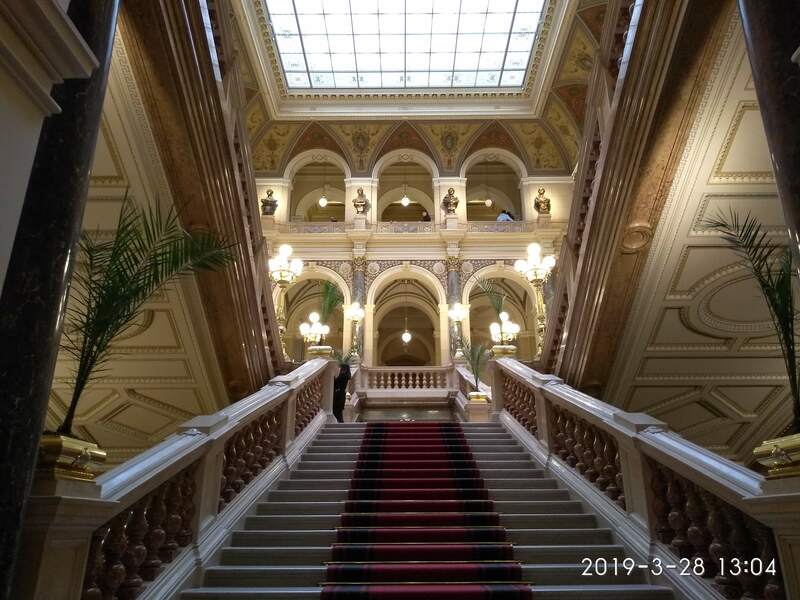 After years of renovation, endless queues – entrance free – till the end of 2018 and another closure during February I finally made up my mind – and managed to have a day off – to see the main symbol of Czech national identity, the re-opened Historic Building of the National Museum. Finished in 1891, it should be a showcase for various collections of minerals, semiprecious stones, rocks (including Goethe’s collection) and plant specimens that until then had been displayed in several temporary locations. The original idea had come from an outstanding representative of the Age of Enlightenment in the Czech lands – Bohemia at that time – Count Kaspar Sternberg, Kašpar Maria hrabě Šternberk, to be correct. Those of you who know the country a bit might think about their main residence, the awe-inspiring castle of Český Šternberk, which the family got back after 1989, by the way. Kaspar Sternberg, 1761-1838, was a theologian, mineralogist, botanist and politician, collected and cataloguized fossils and plants and published numerous books. 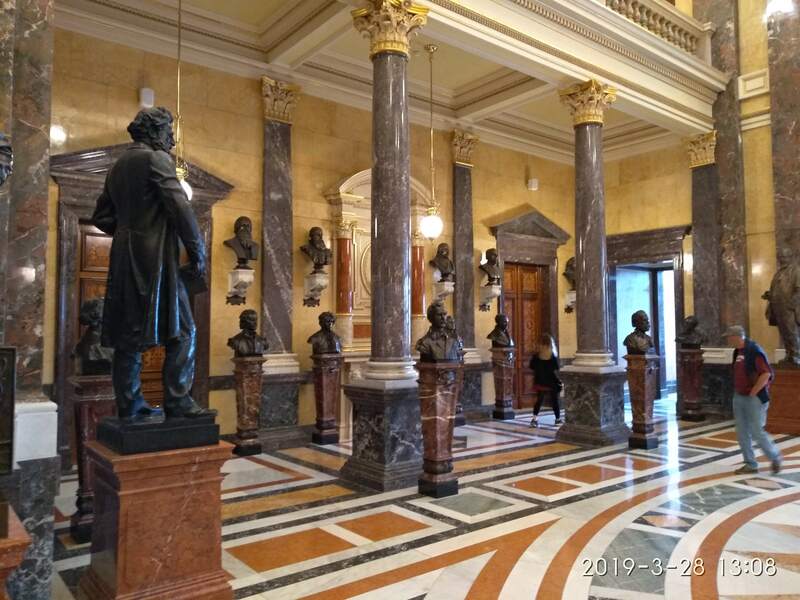 To foster education and science he founded a Patriotic Museum in 1818, together with fellow aristocrats and men of science, first located in his own palace, today a division of the National Gallery. The building at the top end of Wenceslas square is not just a prestigious and monumental building, but should also express Prague’s desire to show Vienna its emerging capacities. From 1526 on Vienna had been the residence of the Emperor, Prague had been reduced to a regional capital of minor importance, Czech was considered the language of farmers and servants, and Vienna was largely ignorant of the needs and ideas of a monarchy composed of at least 15 different nationalities and a lot more languages. During the 19th century the Czechs started to emancipate themselves from Vienna’s tutelage – a rather arrogant Vienna, the New York of Central Europe at that time, profiting from the fruitful diversity of an empire of 60 million, reaching from the Alps to Western Ukraine. This “National Revival” made Prague competitive, even more so, as the German speaking population of the city had the money and the power. It was, in fact, a double competition that drove the Czechs’ energy – the one with Vienna and the “inner” one between Prague’s Czech majority and the – mainly upper class – German minority. 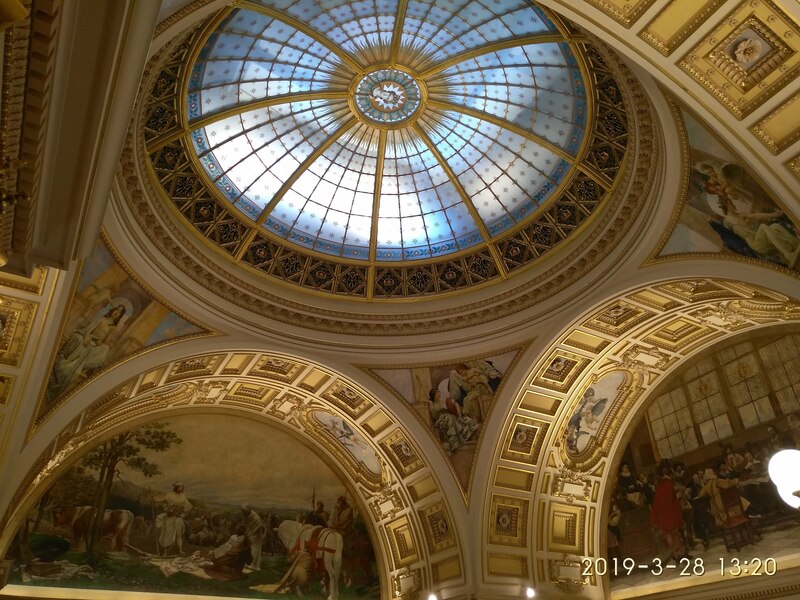 Thus, this museum should be a triumph, and if you look at its dominant position looking down on the long stretch of Wenceslas square, with its dome visible from many places in the city, a triumph it is. The most important division of the museum is the Pantheon, the term originally meaning a temple for all gods, but in this case simply a memorial of the most important personalities of the country. It is placed under the dome in the central hall of the building, gracefully introduced by the enormous main staircase one has to climb to get there. The Pantheon makes sense if you know who the statues and busts should represent. Of course, all sculptures bear names, but otherwise there are no explanations. This is surprising, as other Prague museum collections are very well documented, both in Czech and in English, and especially the National Gallery with its comprehensive collections has taken considerable effort to explain what there is. I knew almost all of the heads in the Pantheon, but I guess most of the other visitors, mostly foreign, not Czech speaking and, when I was there, mainly and obviously visitors from Asian countries, might not really know what to do with this sanctuary. Not everything could be finished as the reopening was fixed to an important date, the 28th of October 2018, when the Czech Republic, or actually its predecessor, Czechoslovakia, would celebrate its 100th birthday. The exhibition staged for this occasion is a colourful collection of what these 100 years looked like: Artefacts, videos, maps, pictures and posters, here quite well documented, of the joint history of Czechs and Slovaks. One aspect is being explained strikingly often: The inhomogeneity of this merger. When former Bohemia and Slovakia decided to form one state in 1918, a highly industrialised, intellectual and not very religious Czech country encountered a largely rural and much more Catholic population in a country that had been under Hungarian rule ever since. Even if the Czechs tried their best to improve infrastructure, education and economy, the Slovaks never totally lost the feeling of playing the second violin in this concert. This eventually led, as we know, to the most reasonable and peaceful separation in the history of national divorces: The two regional leaders of the new federation founded after 1989 met at Brno’s fabulous Villa Tugendhat in 1993, signed a paper, and that was it. Since then, the two countries are best friends. In all its classical respectability, a bit of fun should have its place. One of the installation offers photos of the era into which you can insert your picture by clicking a touch screen. 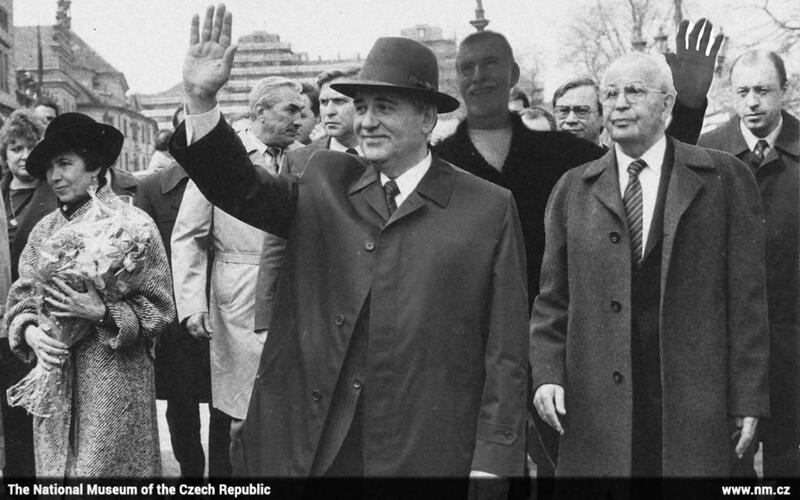 I chose the one with former Soviet president Mikhail Gorbatchov and Czech president Gustav Husak. See? I was there. Fake news? The museum’s architecture is late 19th century Historism aka total kitsch – yet absolutely beautiful. A museum that teaches history must breathe history, and furthermore it is a witness of its time, Prague’s Belle Epoque. ← Historic Rambles 2, March 6, 2019: Book nr. 800. Read what this is all about.